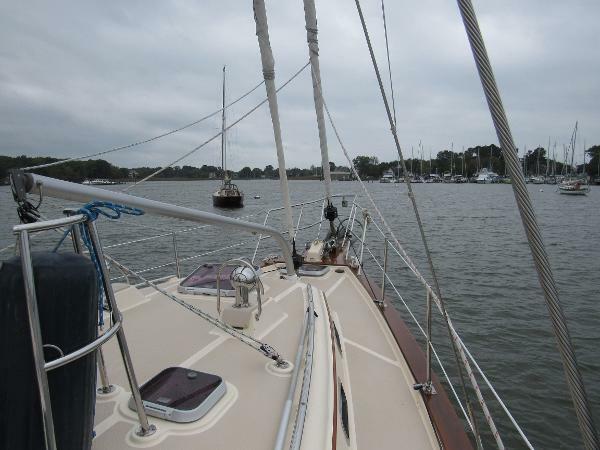 Aventura is a well maintained, cared for, one owner Island Packet 465. This thoughtfully appointed vessel is a stunning live-aboard, blue water boat with the interior layout and the amenities below decks laid out with basic offshore seamanship foremost. 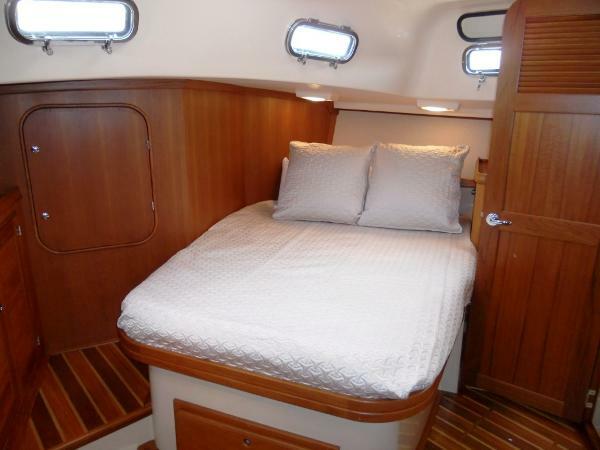 On deck you will find her most comfortable, accommodating and seaworthy. 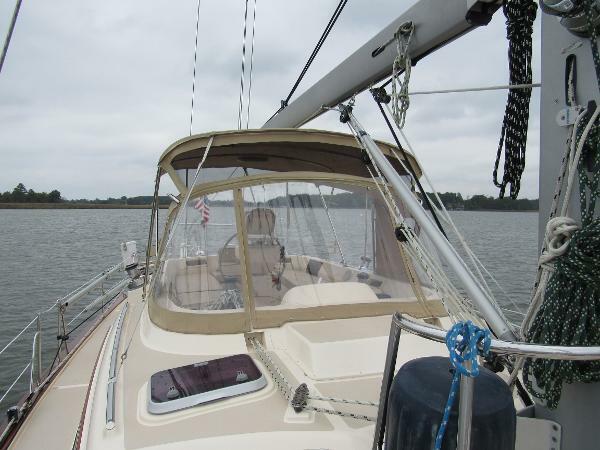 In general, the Island Packet 465 offers exceptional livability and practical cruising features coupled with impeccable craftsmanship and handsome good looks. The large center cockpit provides more than just a comfortable place for your crew to congregate. It provides a safe working area from which you can perform all the necessary adjustments underway. 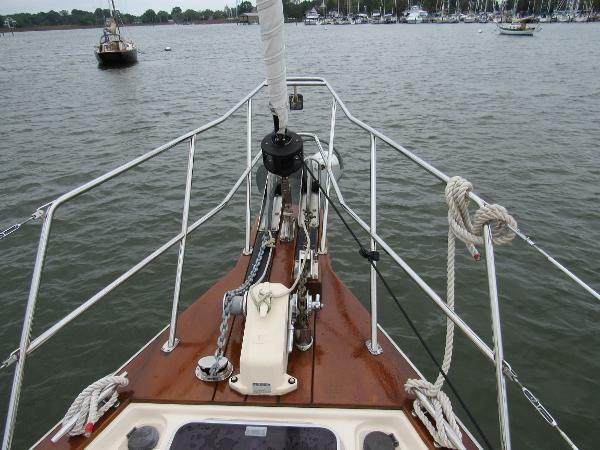 Wide side decks, strategically placed hand rails and recessed foredecks maximize your safety on deck. As beautiful as the 465 is to behold, it’s even more appealing below decks. The expansive main salon boasts more than seven feet of headroom, a well-appointed combination of hand crafted teak furnishings, cabinetry and storage, a nav station that would excite any world cruiser, a gourmet galley fit for a master chef and two of the most spacious staterooms you’ll find anywhere. Entering via the comfortably angled companionway steps, your attention will be drawn to full-length settees. The port settee extends to the centerline to make a double berth, and both settees can be used as sea berths. The large main dining table stows against a bulkhead wine rack, opening up the area for socializing. There is a smaller, removable table, which mounts on either side of the salon for added flexibility while dining or entertaining. CE Category A – Ocean rated safety windows provide a panoramic view and overhead lights and numerous reading lamps with individual dimmers are found throughout. Without Question this is the lightest used, highly pampered and cleanest Island Packet on the brokerage market! 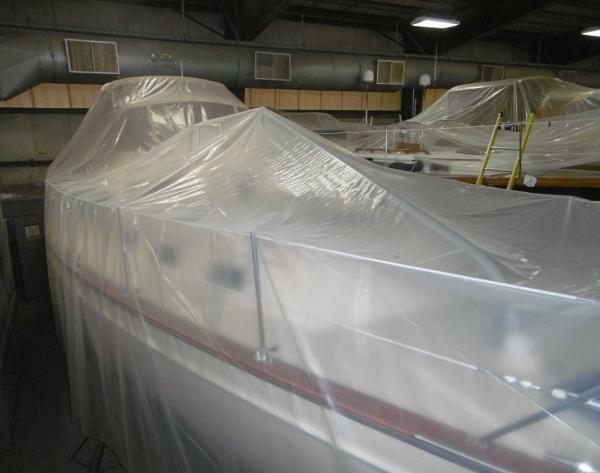 The interior and exterior look like they are ready to be put in a New boat show! Please read the following listing - YOU WILL NOT BE DISSAPOINTED Hardly used & the most pampered yacht that we have ever had the pleasure to represent. She has been under Hinckley’s care, covered and stored inside a heated building, captain driven and maintained with a very open pocket book. Intrepid II looks like a new yacht that has just been delivered except the brightwork is better! Her equipment has hardly been used - just 51 hrs on the engine and 4 hrs. on the generator. 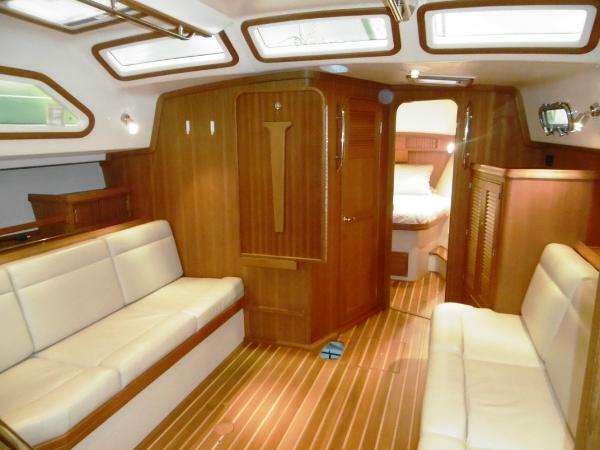 In almost all ways she is like a new yacht but at a huge savings of just over $340,000 – An incredible opportunity! A few of her upgrades and features are as follows: Hinckley maintained brightwork Furling main Electric winches Bow thruster Raymarine E120 chartplotters at helm and at nav with AIS Yanmar 75hp engine with only 51 hours MasPower 8kw Generator with only 4 hours Electric heads (2) Dodger, bimini, full enclosure, cockpit cushions Large aft deck big enough to store your dinghy Immense lazarette storage locker Tremendous amount of storage 460 ft3 More details in the full listing The Island Packet 465 offers exceptional livability, practical cruising features and impeccable craftsmanship. The large center cockpit provides more than just a comfortable place for your crew to congregate. It provides a safe working area from which you can perform all the necessary adjustments underway. Wide side decks, strategically placed hand rails and recessed foredecks maximize your safety on deck. Below, the expansive main salon boasts more than seven feet of headroom, a well-appointed combination of hand crafted teak furnishings, cabinetry and storage, a nav station that would excite any world cruiser, a gourmet galley fit for a master chef and two of the most spacious staterooms you’ll find anywhere. Cruising World Magazine had this to say about the Island Packet 465: We cast off the jib and staysail furling lines, sheeted home the sails, and were off, reaching at an impressive 6.4 knots in only 11 knots of apparent wind. When the breeze later reached up to 15, we got 7.7 knots on the GPS. The 465 felt good, and the motion was subdued and easy. If you are considering purchasing a new yacht or want only the very best in a brokerage yacht – this yacht is for you! Call us now.